Even for the strongest and most resilient families, having a loved one diagnosed with Alzheimer’s disease can be difficult to cope with. Alzheimer’s rates are on the rise—Alzheimer’s ranked as the 29th highest cause of premature death in 2013, as opposed to 1990 when it came in at 44th in the rankings. Alzheimers slowly deteriorates the memory, and it can make even the most able-bodied and independent person need constant care. But here’s the good news: there are many great options for your family to consider if you suspect a family member or loved one may need care for their condition. With or without Alzheimer’s, elderly family members often express a desire to remain in their own home for as long as possible. 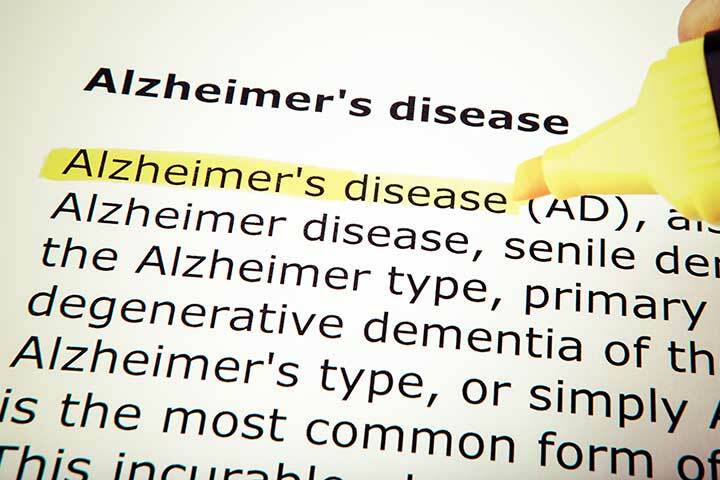 While this can alarm some families that do not have enough time to be full-time caregivers, there are other options such as in-home care for Alzheimer’s patients. When a family member is unable to fully take care of themselves, it might be time to consider bringing in some help. Most family members have their own responsibilities in their own homes, and therefore they cannot provide constant care to those who need it. Nursing homes are an option for some, but the foreign environment may preclude them as a legitimate option for a loved one with Alzheimer’s disease. Instead, an in-home caregiver might be a more suitable option. Although it might be uncomfortable at first, in-home caregivers are professional, certified helpers who can assist anyone with the daily struggle of keeping up with hygiene, eating proper meals, and keeping their living area clean. Before deciding on the type of care that will work best for a loved one, it might be a good idea to discuss the possibility with the loved one themselves or a very close relative, such as a spouse or sibling. Making the decision together will give the loved one a greater sense of control over their lives and will help them feel more independent. Once the family has decided, there may be some questions over who will actually be in the home with the loved one, or what is expected. Below are answers to these types of common questions. One of the most common questions surrounding in-home care for Alzheimer’s disease patients is about who will give the actual care. Most would assume that an in-home nurse or doctor would be the best option because Alzheimer’s disease is a medical condition. However, keeping a certified nurse or doctor in the home at all times is expensive, and they would only be able to address medical issues. They would not be responsible for things such as preparing meals or helping with toileting. It is best to keep the doctors at their practices, and instead, opt for someone who is trained and certified to help with this type of care: a Certified Nursing Assistant (CNA). Trained to care for the person and their specific needs, CNAs provide a type of personalized care that covers everything from meal prepping to bathing. They are certified to support the emotional and physical needs of an individual and are trained to handle Alzheimer’s patients, regardless of their stage in the disease. Although they cannot administer medication, nor can they treat the Alzheimer’s disease directly, they are able to keep the patient happy, comfortable, and as healthy as possible. When Is In-Home Care Necessary? As a loved one’s mind deteriorates, it is important to know when they might start needing care. With the help of their doctor, decide what the huge signs of finally needing in-home care might look like. The signs may look different for each individual. For some, simply forgetting to eat or staying hydrated might be a red flag; for others, the signs might be more urgent, such as wandering out at night or neglecting to take medication. Either way, find out when the loved one would be comfortable with starting to get in-home care, and validate with a doctor. As your family creates a tentative schedule, look into possible companies that provide in-home service and begin doing the research. Starting this process early can save time later on when a caregiver is urgently needed in the home. Some things to research may include pricing, availability of caregivers, possible respite caregivers (for when the primary caregiver needs time off), strengths and weaknesses of the company, and of course online reviews. Finding people who are currently using or have previously used the service are of great help when trying to decide on what would work best for the family and the loved one. Likewise, asking about certain CNAs and their strengths and weaknesses will help make the decision easier in the future as well. If there was not much time for proactive planning, and the decision must be made soon, set a budget, find places within that budget, read reviews, and then finally do CNA interviews. Although CNAs are not able to assist with medical treatment or diagnostics, they can provide much more personalized care. CNAs can help with the Activities of Daily Living (ADLs), which is an umbrella term to describe the everyday tasks that a CNA can help a patient complete. These tasks include eating, bathing, toileting/continence, dressing/hygiene, and transportation. Eating: Although everyone feels hungry, some are unable to prepare their meals to due lack of mobility or dexterity. A CNA is able to help prepare meals in advance, or cook something up on the spot, providing loved ones with healthy meals that will fuel their bodies. Bathing: The goal of a CNA is to make the loved one feel as independent and confident as possible; this is not easily accomplished when assistance with bathing is needed. However, CNAs strive to make it as easy as possible, all while upholding the integrity and self-esteem of the loved one. Toileting/continence: It can be difficult to accept help with something as basic as using the restroom. However, using the restroom can become a daunting task for loved ones that are having trouble with mobility. CNAs are trained to get the job done quickly. Transportation: From driving them to doctor’s appointments or lunch, to simply helping them in and out of bed, CNAs are able to assist loved ones with any type of transportation help they need. They are trained to know how to lift and hold up loved ones that may need help getting to and from places, and they are able to assure a safe resource for transportation and getting loved ones from point A to point B. Preparing for in-home care for an Alzheimer’s patient is a little different from preparing for simple help around the house. It is pertinent that all concerns and worries are explicitly discussed with the CNA before officially hiring him or her, as unexpected surprises are not something that encourages a healthy relationship with the CNA. Likewise, surprising the loved one with an in-home caregiver is not a reliable way to assure a comfortable environment for them; afterall, they are letting a person into their home. Constant discussions are important, especially if memory is fading and the loved one may need to reminded about the caregiver. Reach out to the loved one on a regular basis, either by dropping by or calling in, to see how they are doing, and asking for their opinion of how care is going. It may take time for them to fully adjust to the in-home assistance, if they ever do, so getting a caregiver who can practice patience and understanding is a must. Finally, try to make the CNA as comfortable as possible, so as to foster a better relationship with him or her. Provide a cabinet or drawer to use for their things, encourage breaks as necessary, and always keep communication flowing. Ask questions and give advice, but do so sparingly (as they are professionals). If there are any major concerns, simply reach out and express those concerns honestly, encouraging them to do the same. Getting an in-home caregiver for an Alzheimer’s patient can be a daunting and worrisome task. Rest assured knowing that this is the often the most beneficial option for Alzheimer’s patients, especially when they wish to remain in their homes. To ease the stress of worry, have discussions with parents, grandparents, and loved ones about in-home care early on. These discussions will help family members know what loved ones would want, should this situation present itself. Research and phone calls can go a long way, so before making a final decision, visit the CNA or the company providing the CNA and ask difficult questions to ease any worries you might have. Getting these things out of the way early will make for an easier transition for everyone. Contact Comfort Home Care for more information.